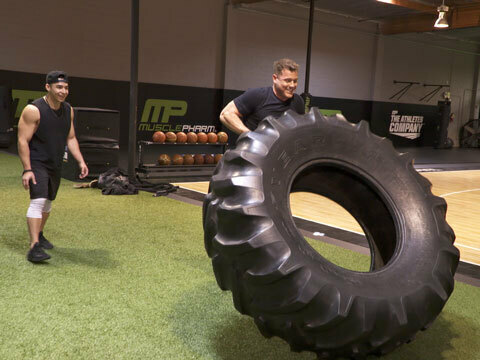 Young Hollywood is hanging out with The Bachelor himself Colton Underwood at the MusclePharm gym and we think it's time to put his athletic abilities to the test! We pit him against a Bachelor candidate of our own in a no-holds-barred Fitness Challenge! See how we stack up against the former NFL player in a tire flip, push-ups, and box jump to win the coveted rose!